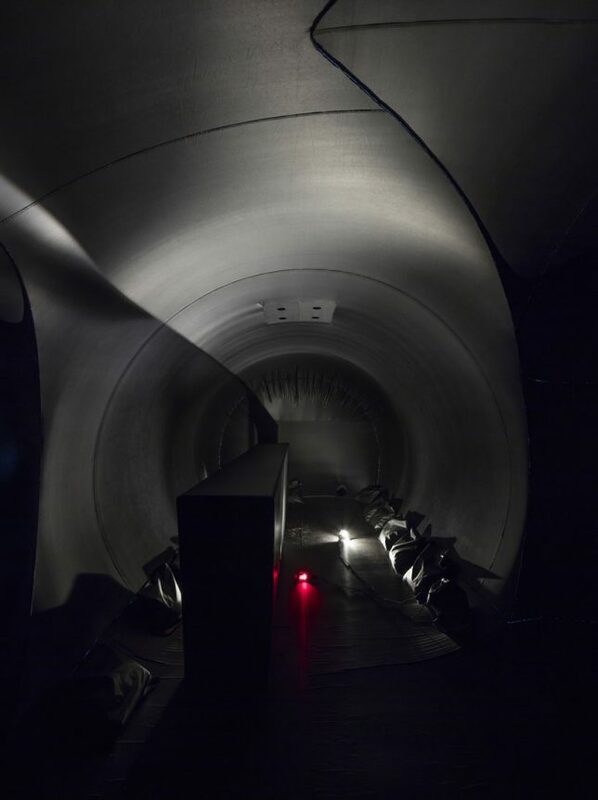 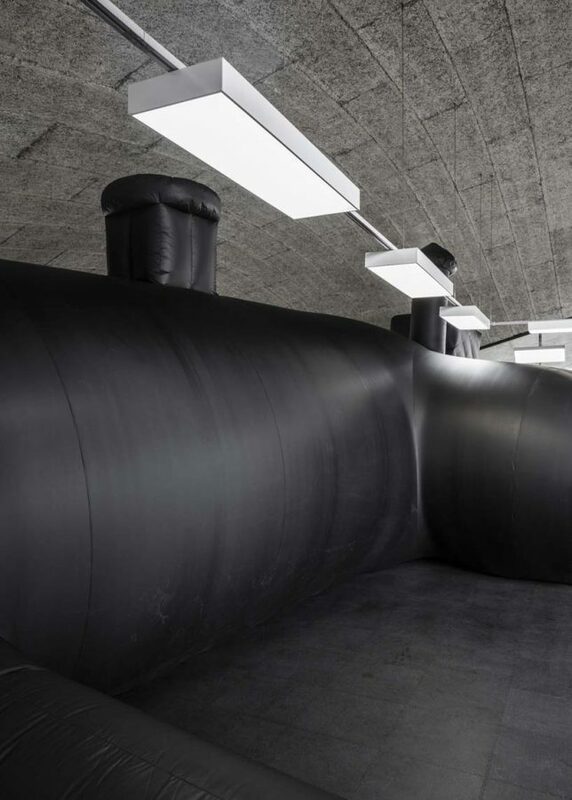 Deliberately dark and pipe-like to recreate the feel of being in a secret subterranean space, this inflatable nightclub and bar by Bureau A comes complete with blow-up benches, tables and a DJ booth. 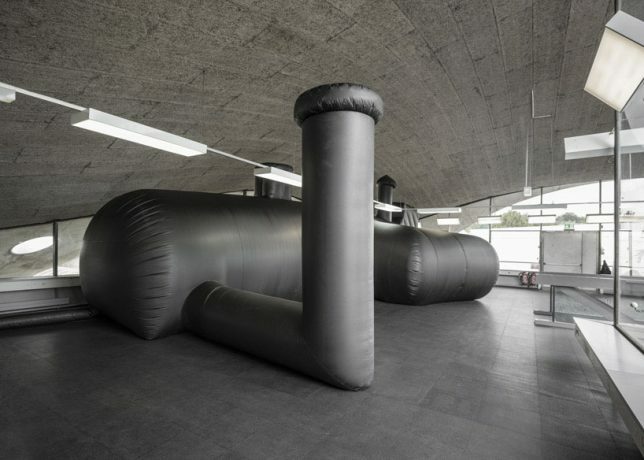 Constructed entirely from black PVC membrane, ‘Shelter’ was commissioned as a party venue for the Federation of Swiss Architects (better known as Bund Schweizer Architekten) and installed inside the cold, concrete Pavillon Sicli in Geneva. 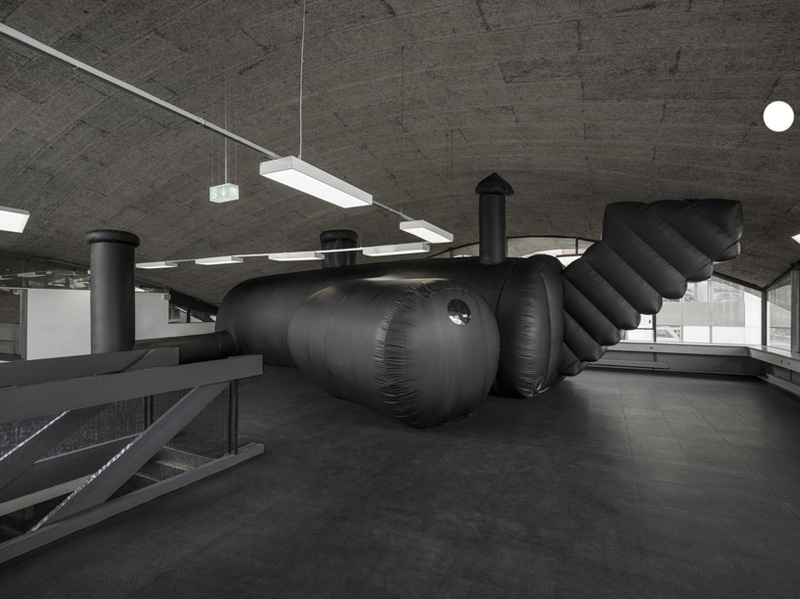 The space inside is clearly quite limited and dark, so it would have been interesting to see what it looks like with people inside. 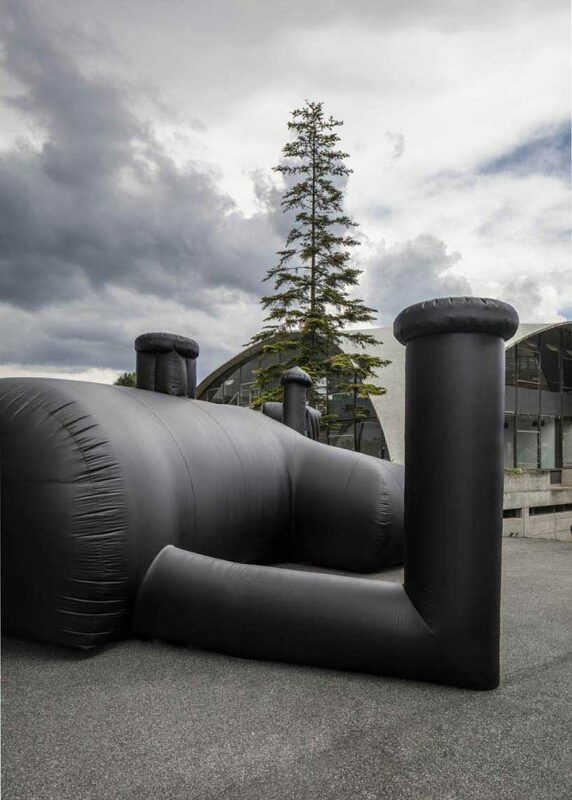 The concept of inflatables for temporary spaces certainly isn’t new, but it’s still pretty cool to see these structures show up in unusual shapes and configurations, standing tall within mere moments of arrival on-site and then disappearing so quickly, it’s as if they were never there.